South Africa requires labeling of genetically modified ingredients if food products contain a percentage of genetically modified products. A new study has revealed that the South African maize market is potentially contaminated with genetically modified maize transgenes that have permeated smallholder farms in the Eastern Cape in South Africa. The research study investigated the seed management practices of farmers in the Eastern Cape and the location of GM transgenes in external fields, home gardens and seed storage containers in a village where GM maize had been cultivated from 2001-2008. 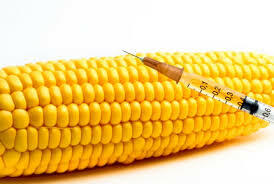 In 2013, South Africa had 2.3 million hectares of GM crops under cultivation, 78% of which consisted of insect-resistant and/or herbicide-tolerant maize. The research findings revealed the presence of transgene contamination. The transgene promoter p35s occurred in one of the 796 maize leaf samples (0.0013%) and in five of the 20 seed batch samples (25%). Three of the 20 seed samples (15%) included herbicide tolerant maize (NK603) intentionally grown by the farmers from seed bought from local seed retailers or acquired through a currently running agricultural development program. The two remaining positive seed samples (10%) included genes for insect resistance (from MON810). In both cases the farmers were unaware of the transgenes present. 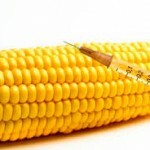 The GM contamination was attributed to improper cultivation and storage practices allowing transgene contamination to occur at a high rate; confirmed by findings that the transgenes have been mixed into seed storages of the small farmers of the study village who constantly share and recycle their seeds. The researchers warn that transgene contamination represents an economical risk and may represent an infringement of intellectual property rights and permit conditions. ← Teen Marijuana use associated with brain damage and memory problems.